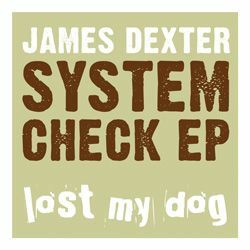 Upcoming London producer James Dexter joins the Lost My Dog ranks with a four tracker taking in slow-burning deep groovers through to bumping, funked-up cuts. His‘System Check EP’ is a perfect representation of the sound LMD has pushed over the past eight years. James has released music on labels including Om Records, Salted Music, Nervous Records, Beef Records, Beatdown Music andStatic Audio.